Sustained fingers, face, and bulges with a cool hand crack finish. A more challenging and better quality start to Haystack. 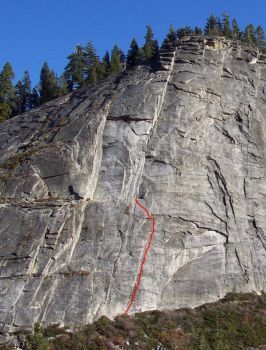 Shares a belay with Haystack but if there are people on Haystack you can find an alternate belay. FA: M. Haymond, Jim Hicks, 1969. Which SuperTopo guidebooks include a topo for Preperation H?